WDWNT has posted today an article about a rumor of a Mary Poppins "spinner flat ride" coming at Epcot World Showcase United Kingdom pavilion. That could be a simple carousel but apparently not a full dark ride as we could have hoped - and should be done. According to WDWNT the ride would likely replace the garden and bandstand area towards the back of the existing pavilion. 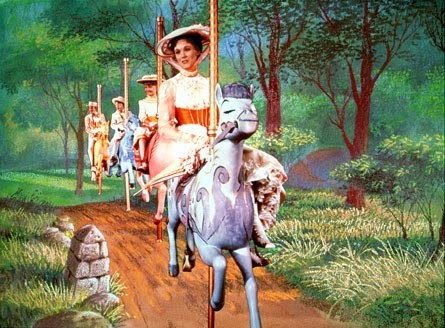 Sure, they can always add a carousel near the U.K pavilion but that sounds a bit of a lazy idea to me. 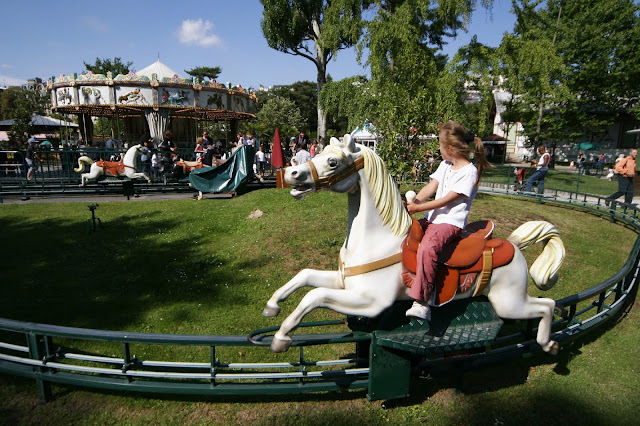 Then i reminded an old ride system that guests of Paris Jardin d'Acclimatation can always do, and it's this horse ride where you're sit on a wooden horse mounted on suspensions which move on a track around the garden. ...and it's at that point that i remembered that D23 had posted a great video with Disney Legend and Imagineer Tony Baxter in which Tony shares a great concept of a never realized Mary Poppins attraction that he designed a long time ago, even before he entered Walt Disney Imagineering - still called WED at that time. Here is the video with Tony presenting the concept, don't miss it! 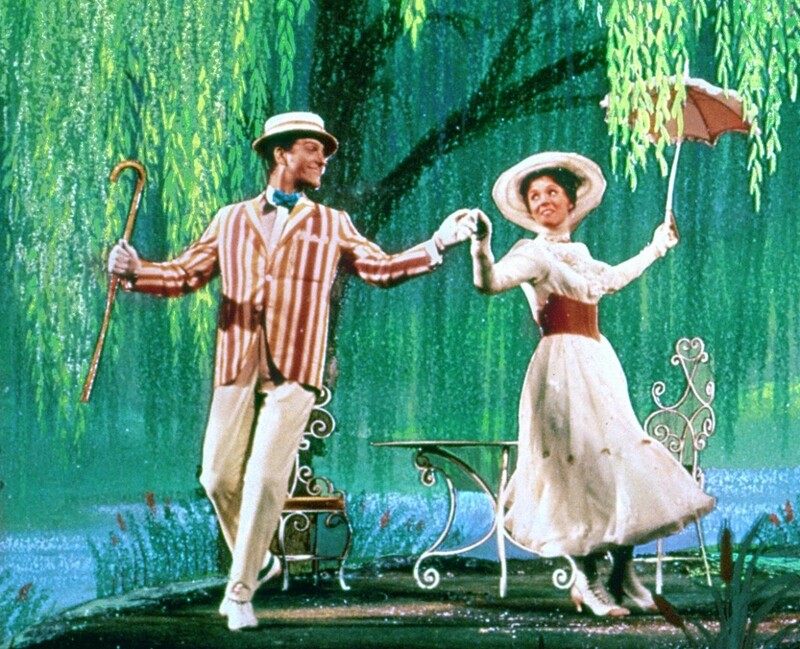 Truth is that there is tons of things to do with Mary Poppins and with such great songs and music it’s a shame it has not been done already...let's wait and see if this rumor becomes real or not!